Ideal for any player with limited grip or for children whose hands are too small to hold the cards. 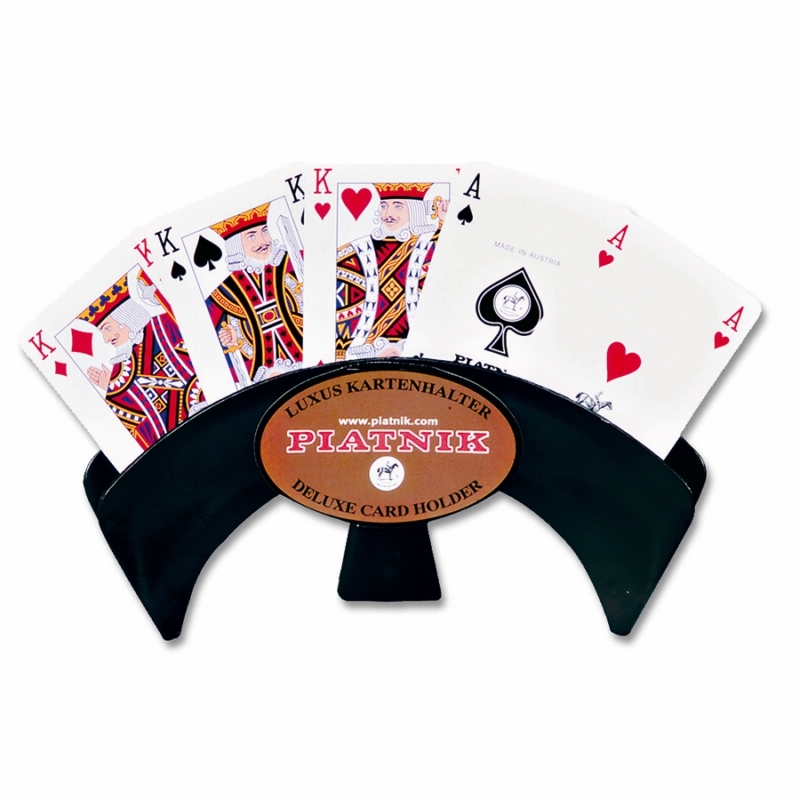 This fan shaped cardholder allows clear hand free viewing of your cards whilst concealing them from other players and can either stand on its own or be held in hand. Holds up to 13 standard size playing cards.